The moonbeam is a reproduction of a clock that was first manufactured in 1952. I'm not sure who the original company was, but it says Big Ben on the box and Westclox on the bottom of the actual clock. The original ad copy reads as follows: "Are you the early morning hard of hearing type? Or just one more poor sleepy head, resigned to being roused, but wishing it could be done ever so gently? Then harken to the wondrous working of moon beam! 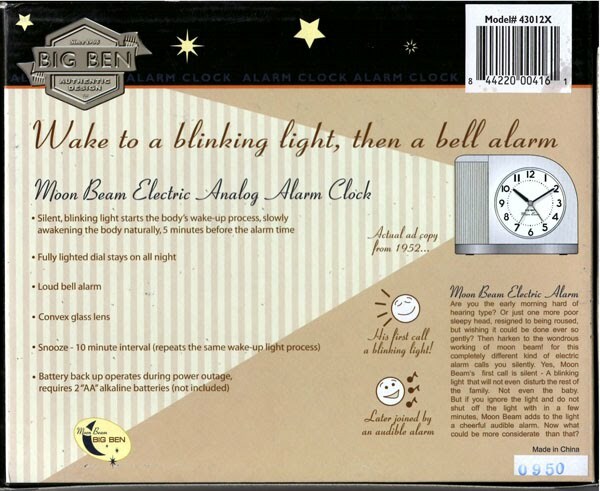 for this completely different kind of electric alarm calls you silently. Yes, Moon Beam's first call is silent - A blinking light that will not even disturb the rest of the family. Not even the baby. But if you ignore the light and do not shut off the light with in a few minutes, Moon Beam adds to the light a cheerful audible alarm. Now what could be more considerate than that?" The writer in me noticed some grammatical mistakes and inconsistencies in the vintage copy; however, the retro fan in me loves this clock. 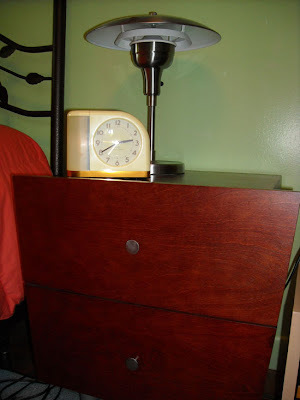 For starters, the style is quintessential mid-century modern and beautiful to look at - the clock looks like it belongs on Don and Betty Draper's or Pete and Trudy Campbell's nightstand (as you can see, it looks perfect with my retro styled lamp and night table.) 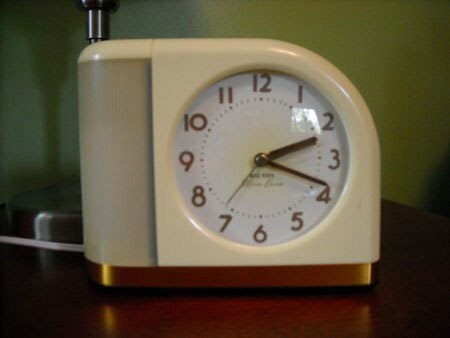 It's also large by today's standards for alarm clocks: 6 1/2" wide by 5 1/2" high. It's electric, which may be bothersome for some people, but it also runs on two AA batteries - and should you lose power, the batteries automatically take over so you won't miss your wake-up call. There are three options for the alarm: the clock has a large, slightly florescent blinking light that flashes on and off (supposedly to gently wake your body up), a straight-on audible alarm (which is quite loud and sounds like the bell on old alarm clocks), or you can opt for a combination of the two where the light starts blinking 5 minutes before the alarm goes off. So far the light has not succeeded alone in nudging me awake, but perhaps that will change in the winter when early mornings are quite dark. 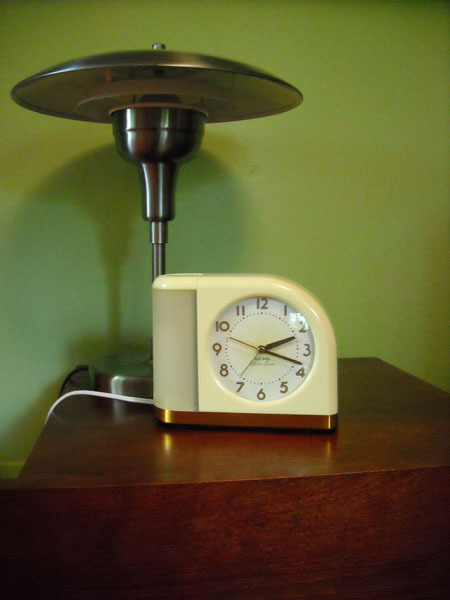 The clock also has a gently glowing backlight for the dial face that can be switched on and off to easily read the time in the dark, and a snooze button that buys you a few more minutes of sleep. The ticking mechanism is very soft and barely audible. The Moonbeam sells for $39.50 through LL Bean and is available in 5 soft retro colors (classic yellow, pale green, blue, dove gray, and vanilla.) A great gift for any retro fan! I love it. Wish I used an alarm. Thanks for telling us about it. So cute! I am totally ordering one in pale green. Thanks for the tip! 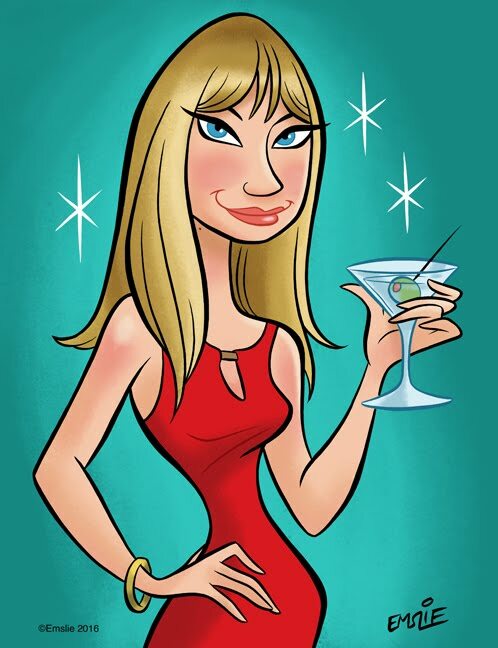 So very cool!! 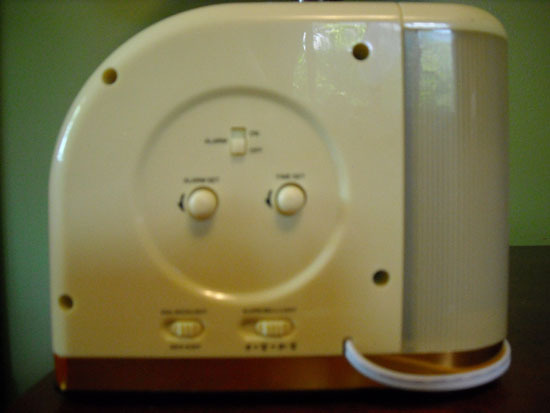 Reminds me of my folks old alarm clocks. The light would definitely wake me up in the winter! I've gotten much more sensitive to light when I sleep in my old age. LOL! Thank you, thank you, thank you! We are in need of a new alarm clock (and we lost power this morning before the alarm should have gone off, so the battery backup is appealing).